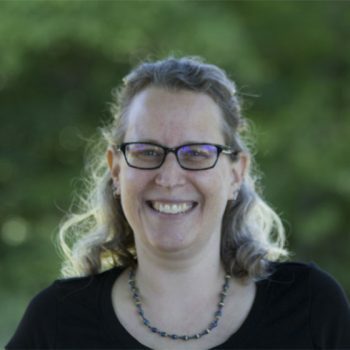 After living and teaching in the Northwest United States for 10 years, Sarah Hentges joined the UMA faculty in Spring of 2009 as a Libra fellow and helped to design a new minor in American studies (AME). After working at UMA for several more years, Sarah earned tenure and promotion in 2015, becoming an Associate Professor of American Studies. She holds several positions at UMA including the chair of Women Invigorating Curriculum and Creating Diversity (WICCD), the coordinator of Interdisciplinary Studies and chair of the INT Council, and the Interim Honors Program Director. Sarah earned her PhD in American Studies from Washington State University with an emphasis in Comparative Ethnic Studies and Women’s Studies and her M.A. in English from Oregon State University with an emphasis in Literature and Culture and a minor in Sociology. She also holds her B.A. in Interdisciplinary Studies from Humboldt State University with an emphasis in Literature, Gender, and American Culture and a minor in dramatic writing. In addition to her academic career, Sarah is also a fitness instructor, teaching a variety of fitness classes including yoga and cardio dance and workshops for instructors and community members. In her teaching and research she makes connections between academia and fitness. She includes belly dancing as a topic in her intro to women’s studies classes and has offered belly dancing workshops for students and community members as well as a special feminist fitness class for Women’s History Month—Girls’ Night Out: Pleasure, Power, and Empowerment. She has volunteered her fitness services at a martial arts kids camp, a Caring Connections retreat, and other events. In her spare time she likes to work (see above), sleep, feed her pop culture and young adult dystopia fiction addictions, and hike with her partner and dog. She also likes to create vegan meals and especially desserts.